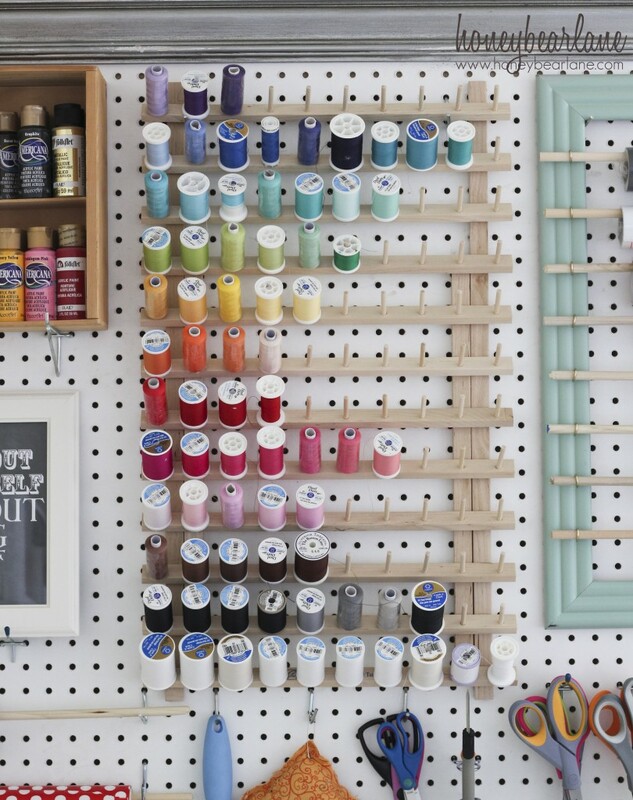 I think my favorite part is this large thread holder. Before, my thread was in this awful awful hard plastic container that the lid never fit on right and I never knew where to put it. My thread was such a pain to get to that half the time I would sew with whatever was on the machine even if it clashed horribly. Now it is all right in front of me, arranged according to color and I know exactly how much I have of each color, each shade…I can’t even begin to describe how convenient and helpful this is. 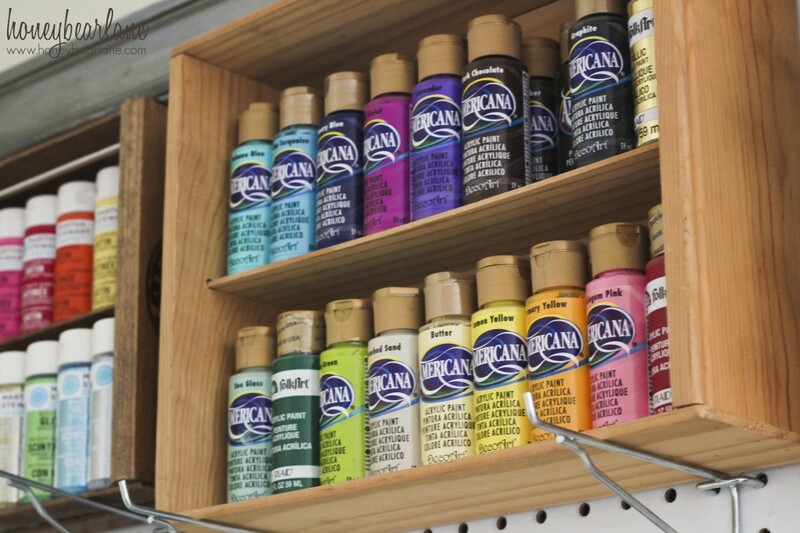 For the paint, I had these old thrifted wine crates that I collected but never knew what to use them for…but they seem to have been made for craft paint storage! I double layered because I have multiple of each color…one crate for Americana and Plaid paints and one crate for Martha Stewart brand paints. And the colors are so glorious. I just love having the colors right out in front of me so I know what I have.